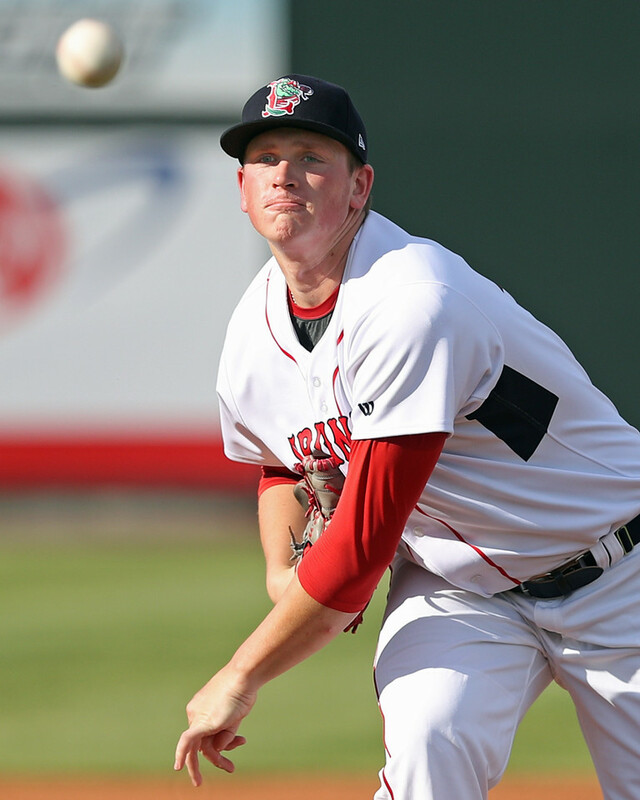 In Tuesday's edition of the Scouting Scratch, SoxProspects.com Director of Scouting Ian Cundall focused on first-round selection Tanner Houck. Cundall observed Houck's first three professional starts in Lowell and the right-hander holds a 3.48 ERA with 12 strikeouts and 3 walks in 10 1/3 innings over four starts. 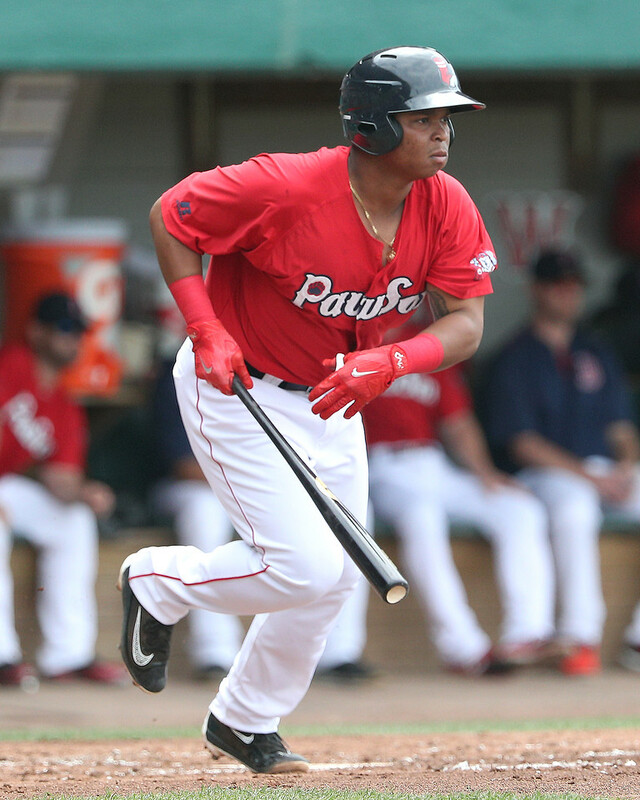 Top prospect Rafael Devers (pictured) is making the most of his first big league opportunity and settling in as a force in the Red Sox lineup. Dave Cameron of FanGraphs breaks down Devers' success and how his power to all fields is paying off in Fenway Park. Scott Lauber of ESPN compared Devers to former top Red Sox prospect Yoan Moncada, who Boston traded to Chicago in December. While Moncada struggled in his first taste of the majors last season, striking out 12 times in 19 at bats, Devers has taken flight. In his first 11 games, Devers is slashing .349/.429/.605 with three home runs. Marly Rivera of ESPN conducted a fascinating interview with Devers, who spoke about his childhood and his ascent to the major leagues. Sean McAdam at the new Boston Sports Journal (subscription required) reported that Red Sox management forbade team president Dave Dombrowski from dealing top prospects at the trade deadline. Dombrowski focused instead on smaller moves such as acquiring utility man Eduardo Nunez from San Francisco and reliever Addison Reed from the Mets. Brendan McGair of the Pawtucket Times suggests that the Red Sox should promote power-hitting outfielder Bryce Brentz to the majors. Now 28 years old, Brentz finally appears to have put it all together in Pawtucket and has a .272/.342/.536 line with 24 home runs in 94 games. First baseman Josh Ockimey was promoted to Portland last week and is settling in at the level, smashing his first Double-A home run on Monday. Ockimey slashed .275/.388/.438 in 100 games in Salem and is hitting .235/.409/.706 with two home runs since the promotion. Nunez continued his strong season with a dominant week at the plate. In 42 games this season, the catcher has a .302/.342/.417 line with two home runs. The 22-year-old Nunez shows little home run power but his hit tool has some potential as a switch-hitter. His defense is impressive and he has a strong arm, which could give him a future in the major leagues. Groome (pictured) turned in a dominant start on Wednesday, throwing six shutout innings and allowing just a hit and a walk while fanning eight. He was also named the South Atlantic League's Pitcher of the Week for the effort. Groome's first full season in the Red Sox organization hasn't gone smoothly as he's missed time due to injuries and his results on the mound have been inconsistent. He has pitched to a 6.10 ERA in 38 1/3 innings between Lowell and Greenville. However, he has showcased his dominant stuff in a few starts and remains Boston's top pitching prospect.